•A Fat Quarter bundle of Calico Crow fabric designed by Lauren Nash of Transient Art for Riley Blake Fabrics. •"Snow Cabin" quilt pattern by Brittany of Lo & Behold Stitchery. •Warm Crochet scissors. 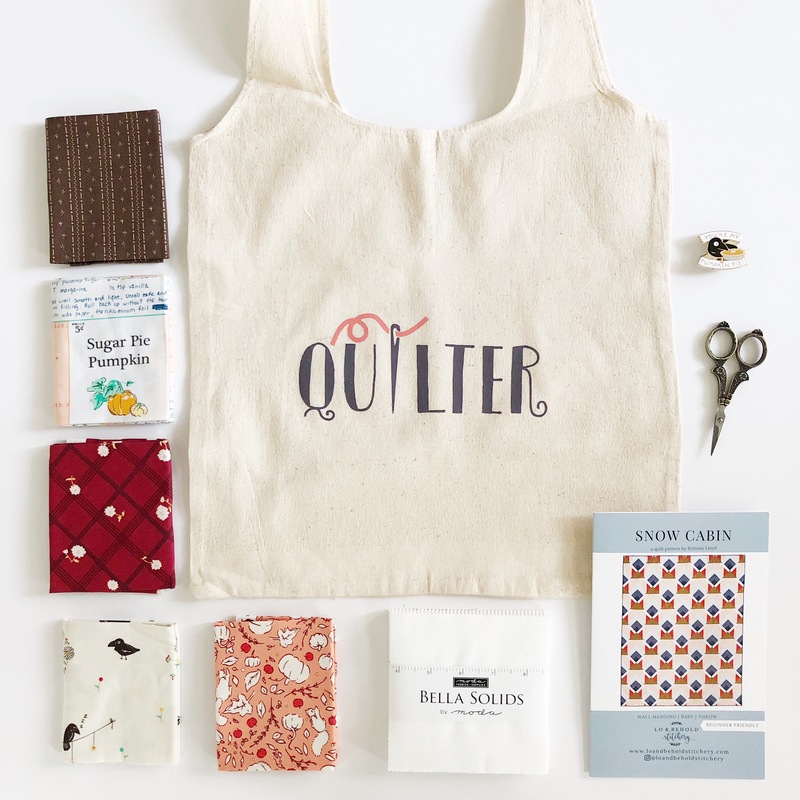 •An exclusive enamel pin design by Lauren Nash •A "Quilter" tote bag. •A white Moda Charm pack. Instead of a treat this month, we decided to include some extra fabric that can be used in almost any project.